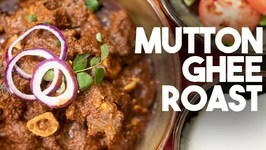 Mutton Ghee Roast - I absolutely adore south Indian curries, whether they come from Kerala or Mangalore, they are rich in spices and mellowed out typically with coconut. 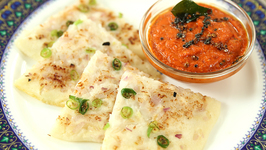 Learn how to make Onion Uttapam or Uttapa with Red Tomato Chutney by Chef Varun Inamdar on Rajshri Food.Onion Uttapam is a dosa-like dish from South India made by cooking ..
An uttapa with a difference! 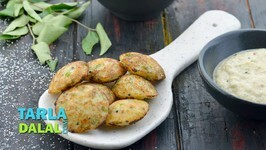 The spread-out batter is topped with veggies and coated with another layer of batter, to make a sandwich, which is then cut into equal wedges ..
South Indian snacks are usually served with Sambhar and a range of chutneys. 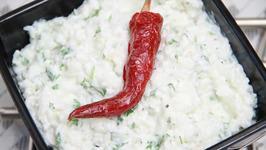 While coconut chutney is a staple, this is usually supported by a spicier or tangier chutney ..
Paneer 65 is one of the most popular starters in Indian restaurants. 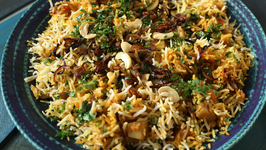 It is especially popular in South India, where it is available even in small eateries in remote areas. 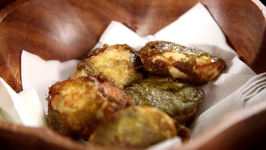 Indu Soora cooks her recipe for Mango Cilantro Rice in an effort to share a little bit of her culture with friends in "Community Table," Episode 1608 of Garden Style. 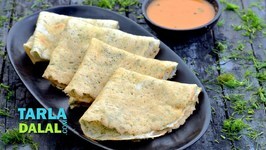 An aromatic and tasty dosa that strikes the right chord with kids of all age groups, the Dill Dosa appeals to moms too because it scores high on nutrition content! 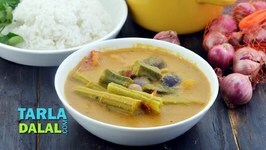 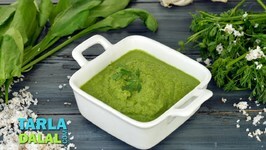 The ..
A quick and easy batter of semolina and curds fortified with colourful and crunchy veggies, yields mouth-watering appe thatll appeal to young and old alike. 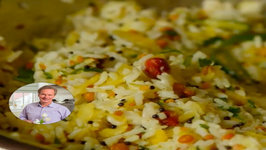 Chef Ruchi Bharani teaches, how to make Dahi Chawal / Curd Rice / Yogurt Rice - a very quick recipe and very popular food in South India. 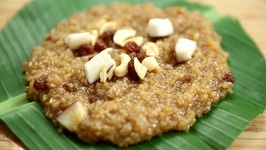 Sharkara Payasam is a South Indian dessert recipe made with rice, jaggery, coconut and dry fruits. 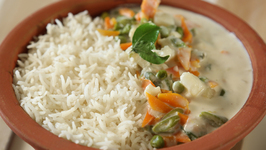 This Payasam recipe is specially made during festive occasions. 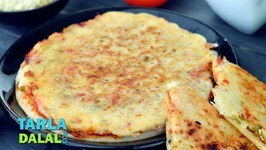 Uttapam ready in a jiffy without having to soak, grind or ferment the batter! 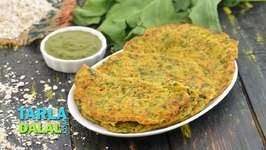 Yes, this is an instant variety that uses a perfect mix of oats flour and whole wheat flour ..
Adai is one of the most popular South Indian snacks. 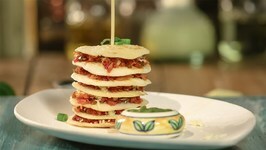 It is a slightly thicker pancake compared to dosas, and is made with a spicy batter of rice and pulses. 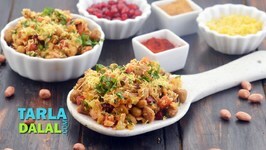 Chaat adds more josh to the timeless appeal of boiled peanuts by combining it with juicy veggies, succulent pomegranate and crunchy sev. 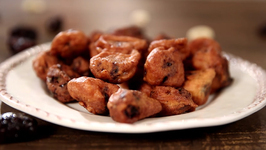 A little sour, a little spicy. 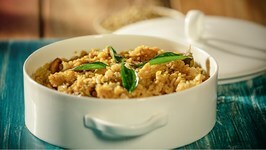 This spicy sour 'Kokum Chilli Rice' is wholesome and flavorsome that will tingle your taste buds. 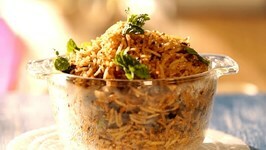 Rains are here, what if you crave for dosa and you can't step out! 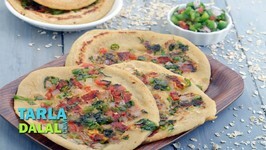 Here's a quick and easy recipe of Cheese Chilli Dosa just for you! 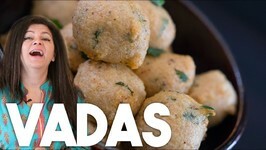 Eager to make bonda but in no mood to soak the stuff, grind the batter, and all? 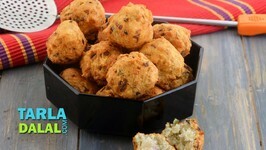 Go for this yummy Rava Bonda, which has a fabulously crispy texture and a peppy flavour, ..